Hey, loves! Happy Saturday! How is your weekend so far? Mine has been awesome; right now, I’m browsing handmade lovelies and sipping on the best caramel macchiato ever, so yeah, life is pretty awesome. We took the boys for a long walk and trip to the park, so we’re tired (and the boys are already sleeping); we had a fantastic day. 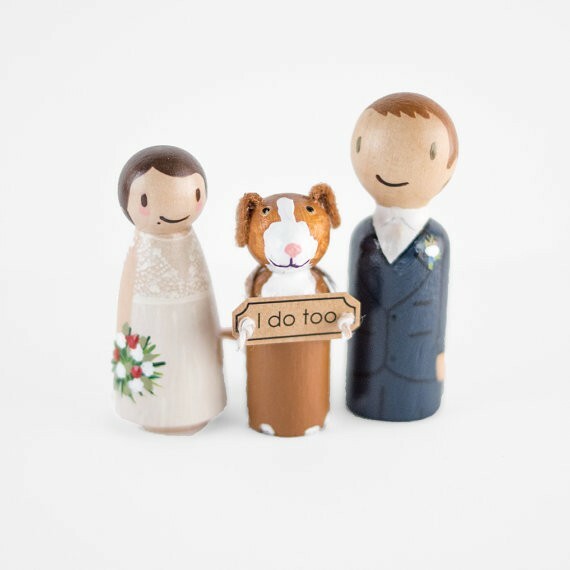 Anyways, I wanted to pop in to tell you about this peg doll cake topper which features a couple made of wood pegs, hand-painted to look like you! The dog even holds a sign that says “I Do Too”. 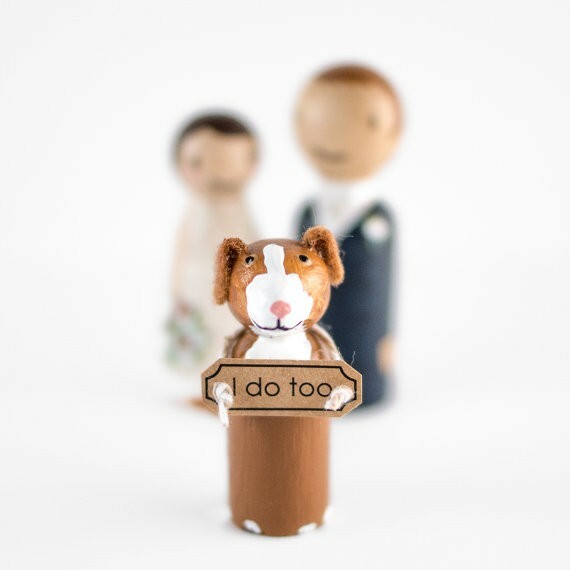 This is one of the cutest cake toppers we’ve ever seen. If you get one of these, you can have it customized in your hair color, skin color, eye color, choice of attire, and accessories (I saw you can even add on things like guitars, books, pennants, hats, and more — how neat). Plus, you can customize your pet to look like yours! By Lovebirds Goods. You can get yours here! You can also find more peg people cake topper designs here. P.S. There’s free shipping through the end of July! Yay! So, what do you have planned this weekend? Feel free to chat in the comments or shout-out on Twitter or Instagram!